Aston Villa midfielder Jack Grealish's England debut will have to wait until next year while Fifa ratifies his switch from the Republic of Ireland. Birmingham-born Grealish, 20, has played for Ireland at youth and under-21 level. The Football Association submitted paperwork five weeks ago to move his allegiance to England. "The matter is pending and being investigated by our services," said Fifa in a statement. "As a result, we are not in a position to comment on it any further nor to give an estimation as to the relevant time line." 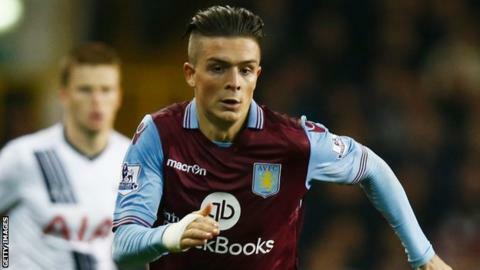 The FA is not expecting any problems registering Grealish and the process can take six weeks. On Thursday England boss Roy Hodgson will name his squad for the friendly matches against Spain (in Alicante on 13 November) and France (at Wembley on 17 November), but is not expected to include Grealish. Hodgson could invite Grealish to Alicante next week in order to get some experience of being around the squad. Grealish has played 37 times for Villa, scoring one goal.